This year’s hurricane season was especially busy and harsh, with communities from Texas to the Caribbean still reeling from the impacts of several major storms. 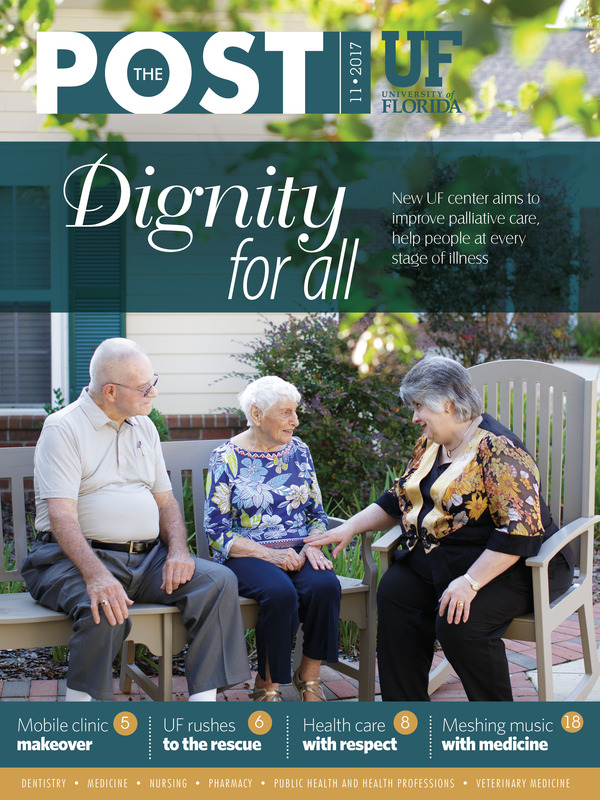 UF Health faculty, staff and students have been on the ground in several states and communities, providing assistance wherever they are needed and proving once again that The Gator Nation truly is everywhere. 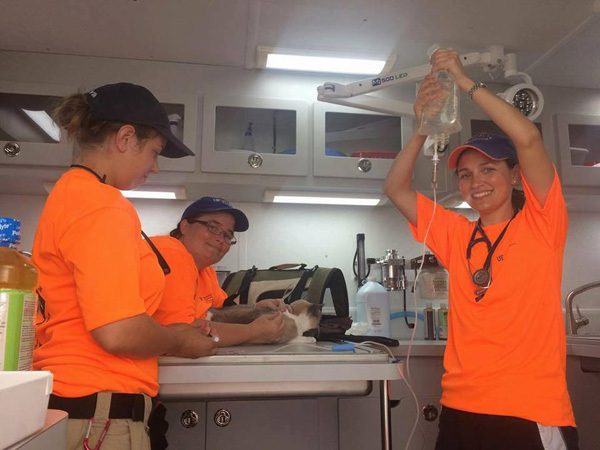 Veterinary students, from left, Rose Worobec, Jennifer Wade and Sara Klatzkow are members of the UF College of Veterinary Medicine’s Veterinary Emergency Treatment Service, or VETS, team that took a mobile hospital to Key West to help local veterinarians care for animals after Hurricane Irma ripped through the Florida Keys. Luis M. Colon-Perez, Ph.D., a member of the psychiatry department in the UF College of Medicine, is from Utuado, in Puerto Rico, and said he felt compelled to help those struggling in the aftermath of Hurricane Maria. 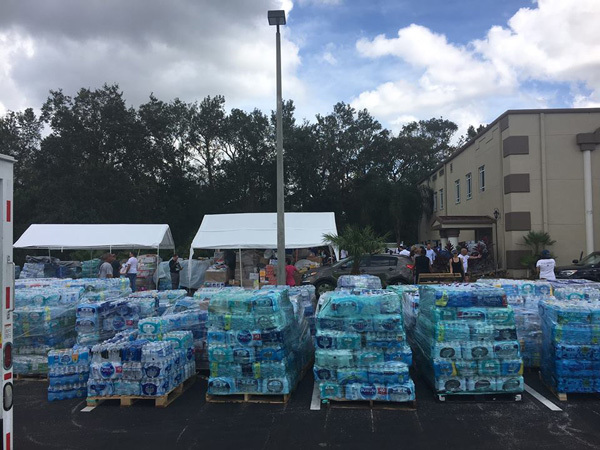 With help from colleagues and his wife, UF psychiatry resident Yarelis Soto Gonzales, Colon-Perez organized two large collections of donated items that he took to Orlando to be shipped to Puerto Rico. 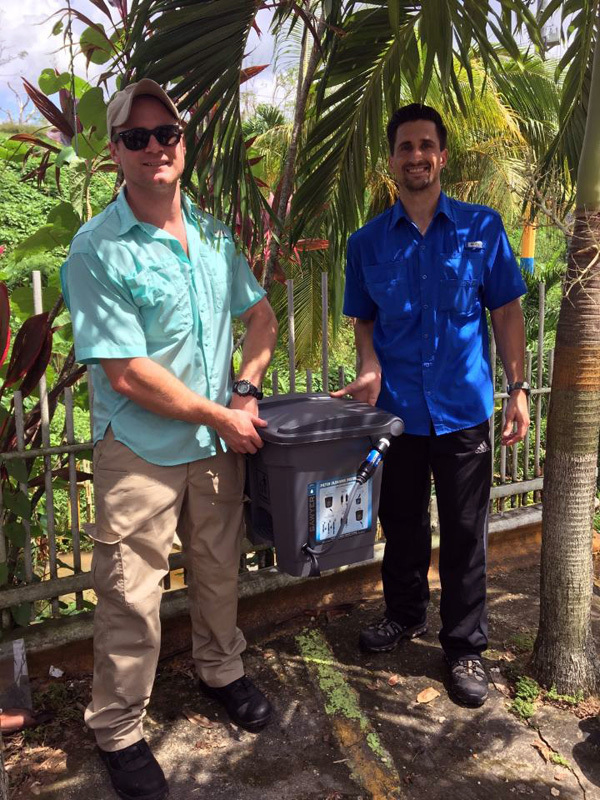 Josh Pickering, left, a UF senior biochemistry major, and Brandon Burns, a fourth-year medical student in the UF College of Medicine, traveled to Puerto Rico, bringing essential supplies including water filters to survivors of Hurricane Maria. Ben Abo, D.O., EMT-P, EMTT, a clinical assistant professor in the UF College of Medicine’s department of emergency medicine, deployed to Texas after Hurricane Harvey struck. 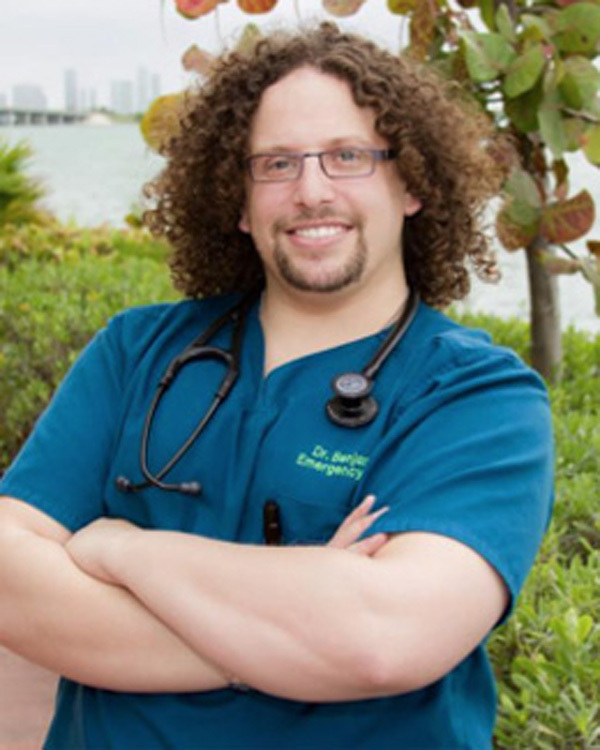 He is the medical team manager for Florida Task Force 1, Miami Dade Fire Rescue’s Urban Search & Rescue Team, and has nearly 20 years of international emergency medicine/EMS experience. The UF College of Medicine and UF Health Shands Hospital opened the emergency operations command center to ensure that patient care continued during Hurricane Irma. More than 1,000 faculty members and staff were on hand, sleeping in conference rooms, offices and classrooms, while others helped with child care and food distribution to allow essential staff to stay onsite.